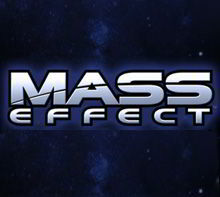 The Mass Effect series, to date, consists of three science fiction action RPG third person shooter games, three mobile-only spin-offs, four novels, 10 comic adaptations that appear in either paper or online form, and an anime movie, Mass Effect: Paragon Lost, with a live-action movie currently in production. In the series, player-character Commander Shepard, a special forces operative with N7 training, is on a mission to save the galaxy from a race of mechanical beings called The Reapers, who are being assisted by an alien race called the Collectors who are abducting entire human colonies in order to pave the way for the return of the Reapers. Here you will find all of our official Mass Effect merchandise, including official Mass Effect 2 t-shirts and official Mass Effect 3 t-shirts. Sorry My Face Is Tir..